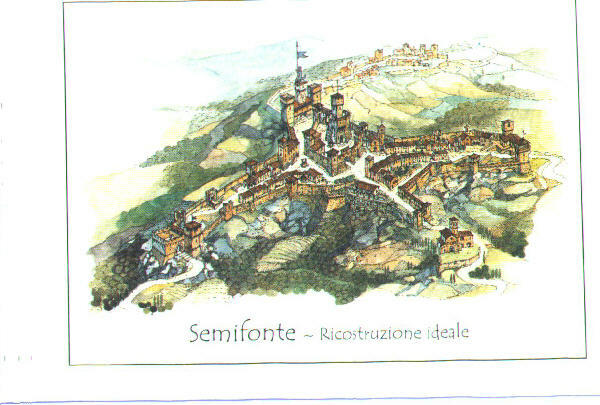 Semifonte was a fortified village, with walls and towers and was formed by 300 family who formed the garrison of 300 soldiers. 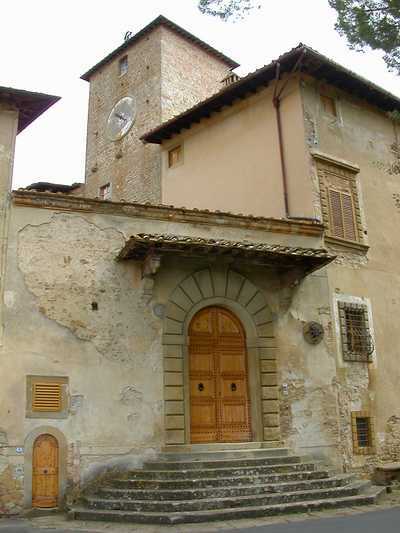 It had 4 gates, the first in the direction of the village of Lucardo, with a high tower where there also was a very nice spring, it was so called "Porta al Bagnano" or "Porta alla Fonte". Entering this gate you were in the Borgo with houses, kitchen-gardens, smitheries and at the end there was the second gate called "del Borgo" or "della Bastia" because there was a tower (Bastia). The third gate, nicer and bigger was called "Romana", was merloned and higher more than 120 ells, had balcony and marble small colums and a linon in stone where the gonfalon had his discourses so that the tower was called the lions tower. The "Postierla" was the gate in the direction of Vico called "Saint Niccolò" gate because there was the church devoted to that Saint. In the center of the village there was a square with the palace of the old Visconti and the houses of the magnates and where there was a solid Rocca or Fortress. 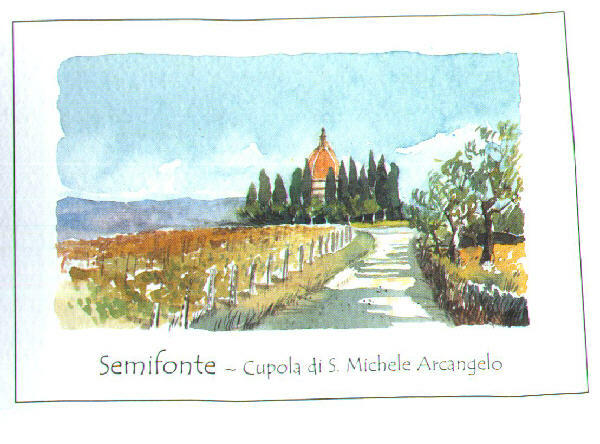 Semifonte was originated from Florentine generations and was a feudal empire until the 1167 from a family arrived in Italy with the Longobards. Emilia, the las daughter and heir of a viscount of that family get married in 1170 with the Count Alberto de Conti Alberti, they had sons Mainardo, Rinaldo and others. 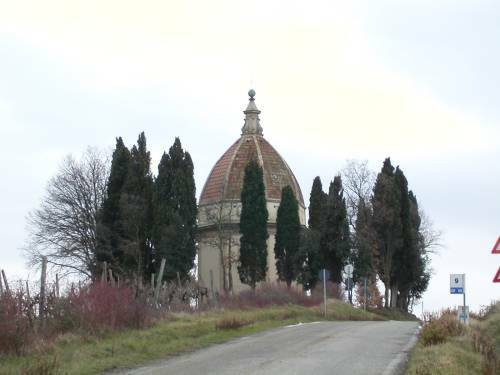 The town was menacing with its power the supremacy of Florence so that was decided to move war against the town. As a result the town was conquered and completely destroyed so that was litterally erased from the land. The same destruction was applyed to all the castles of the valley who were allied with Semifonte. 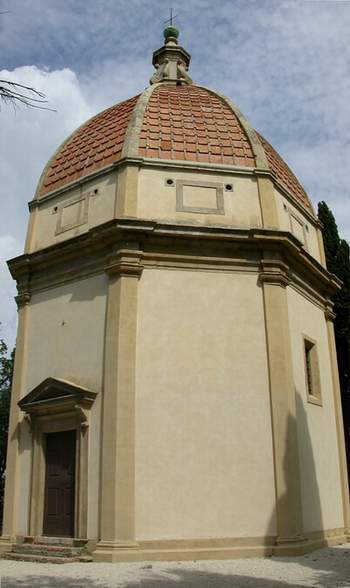 To let the people remember the defeat and state the power of Florence on the land a reproduction of the Dome Chapel in Florence was built where once stood the town of Semifonte. 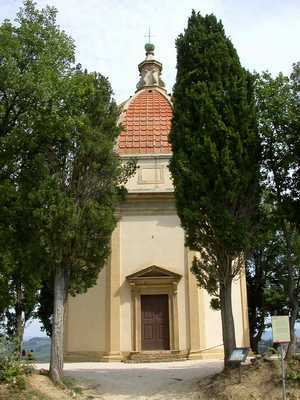 You can notice the Semifonte Chapel: it is a reproduction of the Chapel of the Duomo of Florence. It was built To remember the destroyed city of Semifonte. 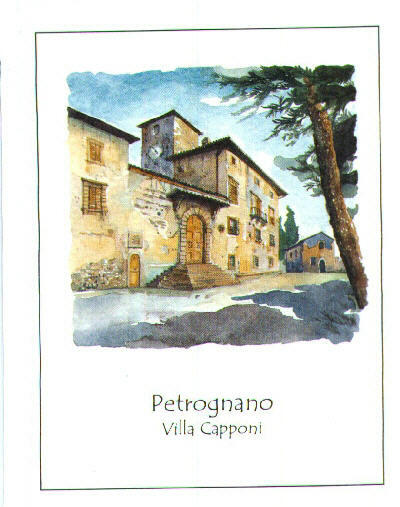 Today you have very little of the Semifonte Town, the village of Petrognano was built in the XIX century near the destroyed town. You can now find an old spring (part of the old city walls) in the wood leading to the Chapel. Petrognano you can find the "Paese dei Campanelli" restaurant. 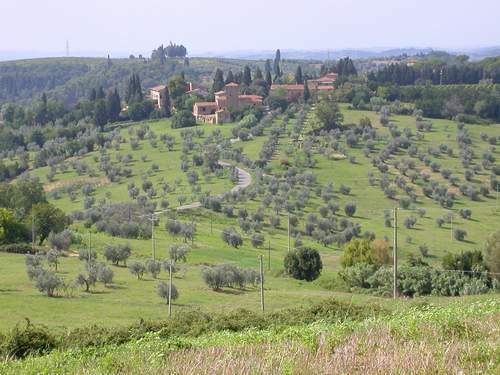 This little nice agricoltural village is is near the middle aged village of Barberino Val d'Elsa. 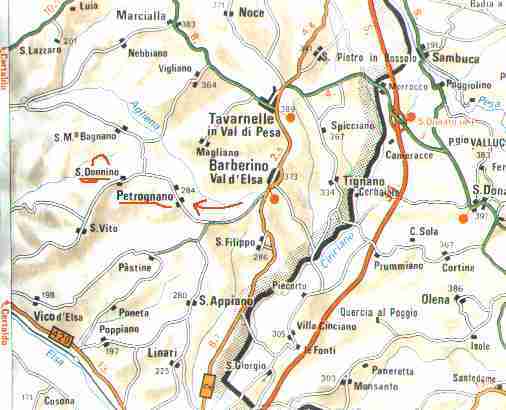 To reach it from Barberino go in the direction of Poggibonsi and Siena and at the end of the village of Barberino Val d'Elsa take the road on the right and go on for about 2 Km and you reach this nice Pearl.